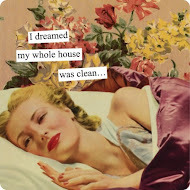 Okay, I confess. 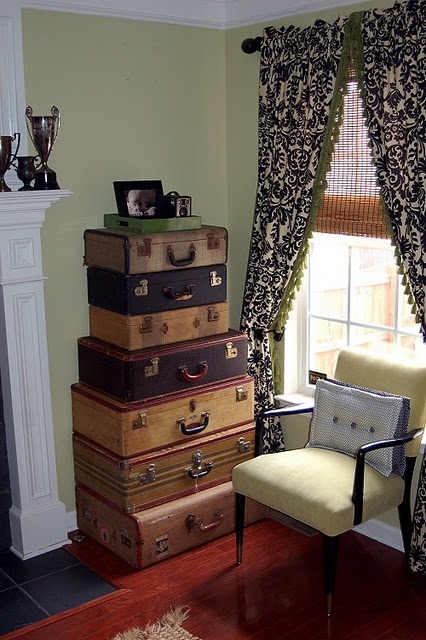 Even though I don't like anything in my home anyone else has and even though I don't care for trends or fads, I'm still pretty smitten with the decorating using vintage luggage. 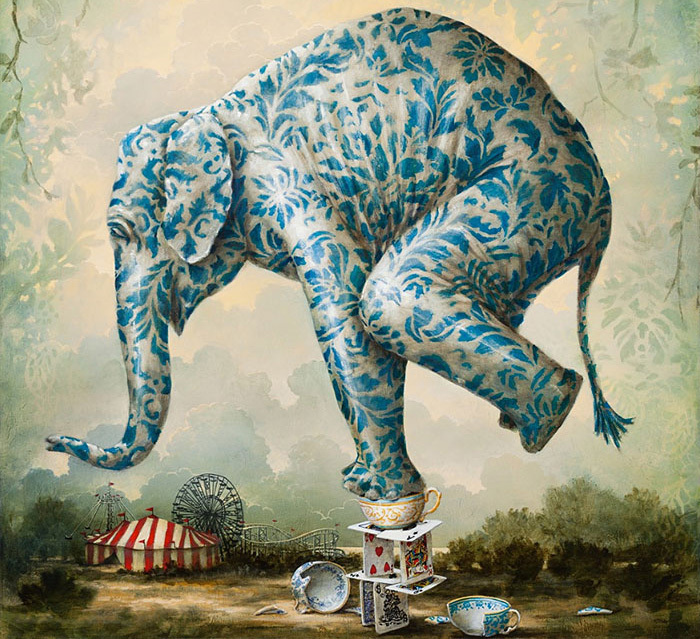 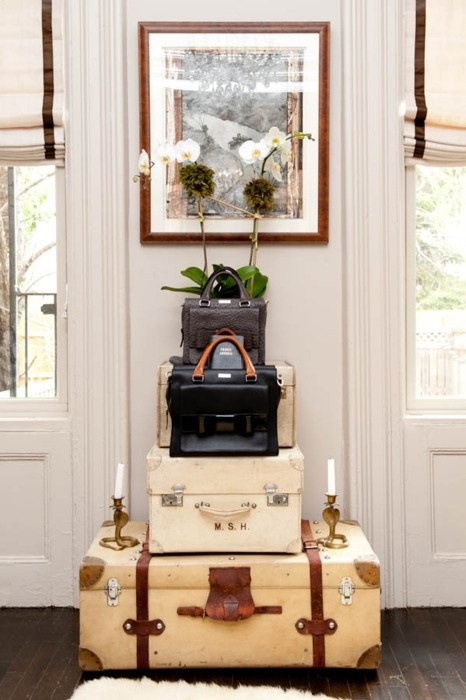 It works perfectly in so many styles of decor but especially Ethnic Cottage where travel figures prominently. 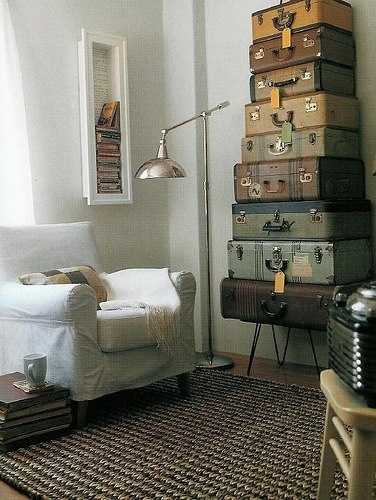 But it's not a completely new idea after all. 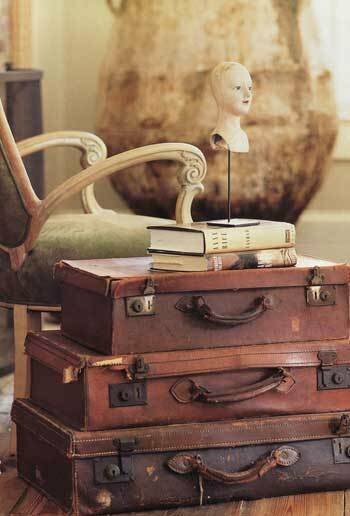 I recently skimmed through some old decorating magazines and came across a great room using vintage luggage as end tables in 1999. 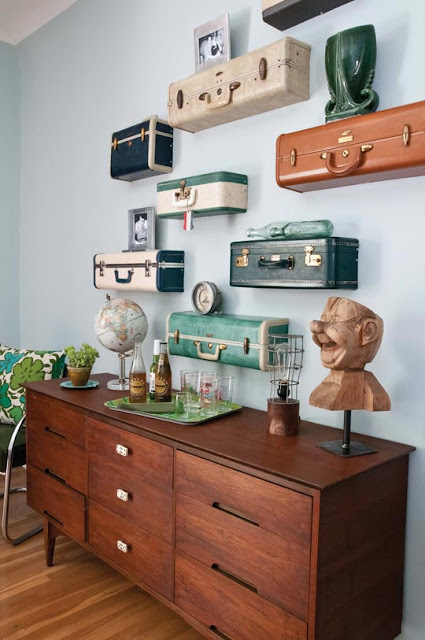 I think it was by Joe Ruggiero but don't quote me on that. 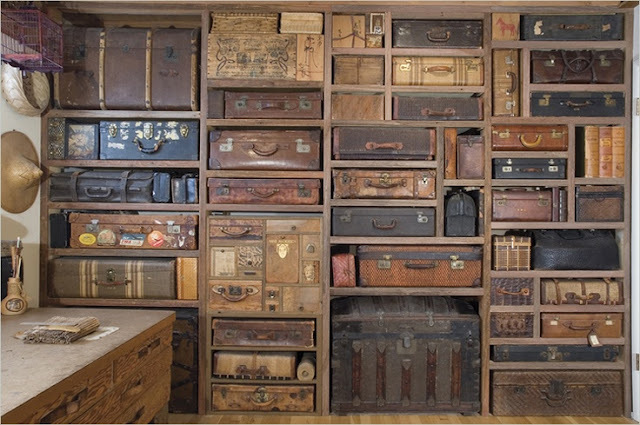 I started my collection in 2001. 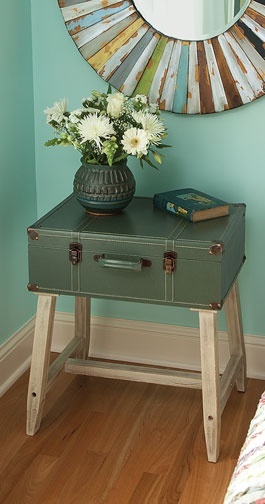 My grandpa (and I only got to know him after I reached adulthood) was an artist and I seemed to be the only one in the family that appeared to be following in his footsteps. 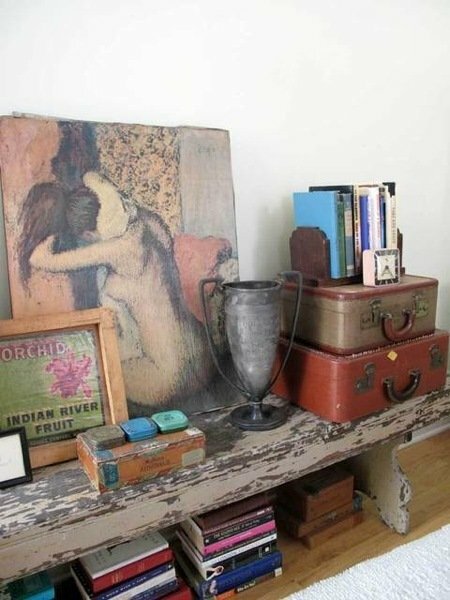 He wanted to encourage my enthusiasm and gave me an old leather suitcase with his oil paints, palette, some drawing books, etc. I have treasured it so much. So when I ran upon another one that looked very similar at a yard sale, I scooped it up for $5.00! The next one I was willing to go as high as $30.00 for. 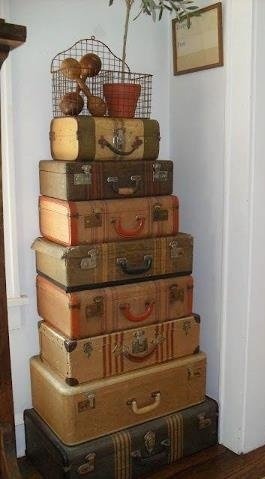 Since then I've accumulated a few more as well as a couple of vintage trunks. 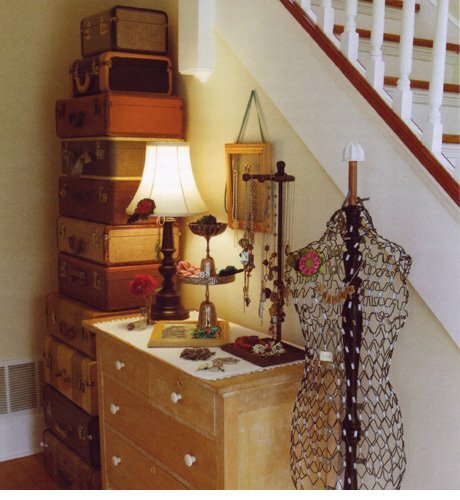 Well, okay, I have ONE, my mother has just LOANED me the other. 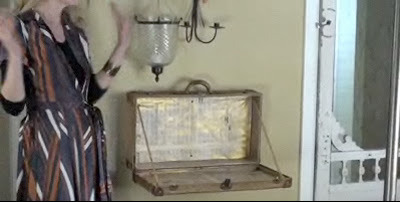 In case she reads this! 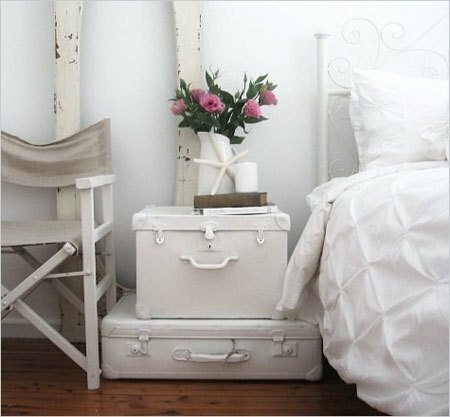 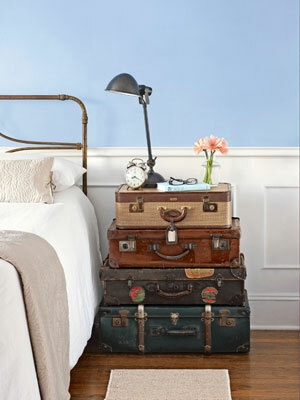 It's so easy to turn vintage luggage into a home accent. 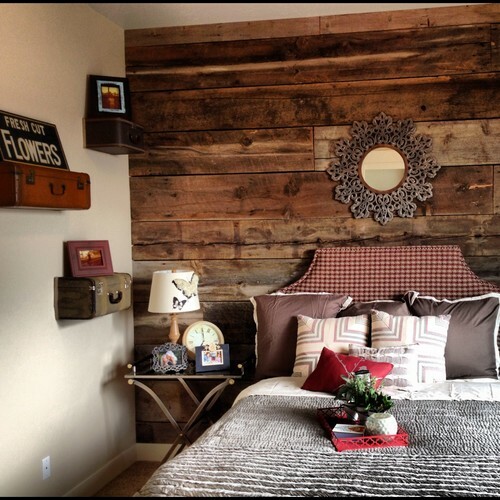 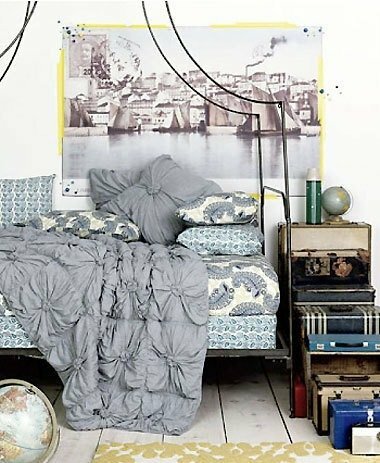 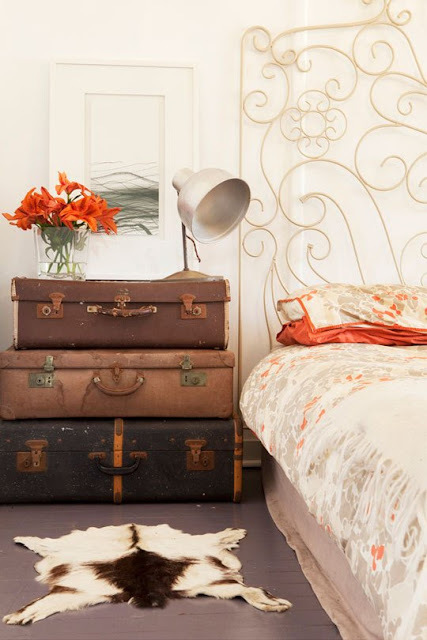 And that's not even getting into the upcycling factor (have you seen the adorable dog beds?!). 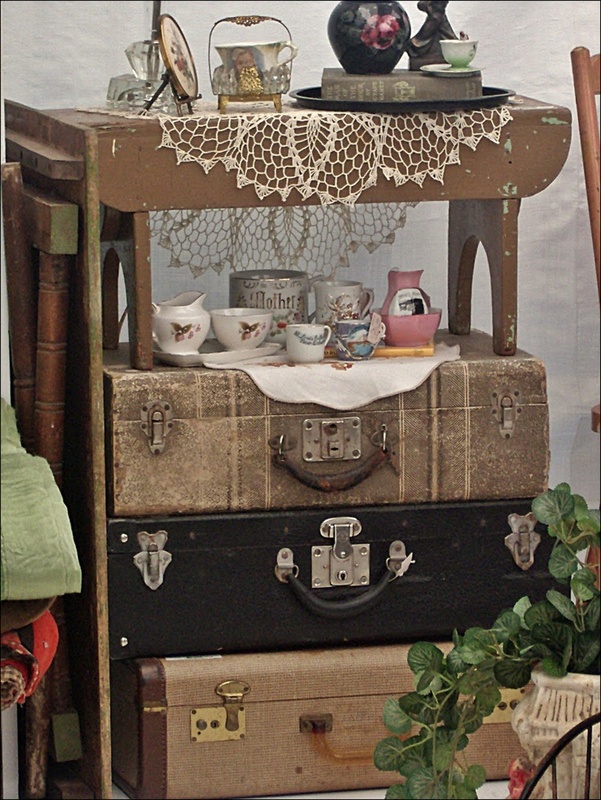 You can find them at yard sales, garage sales, flea markets, craigslist, etc. 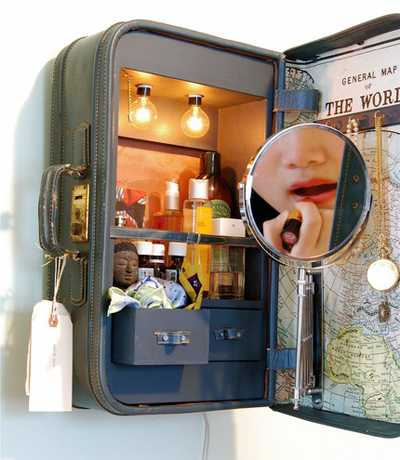 and there are some awesome upcycled ones on etsy as well. 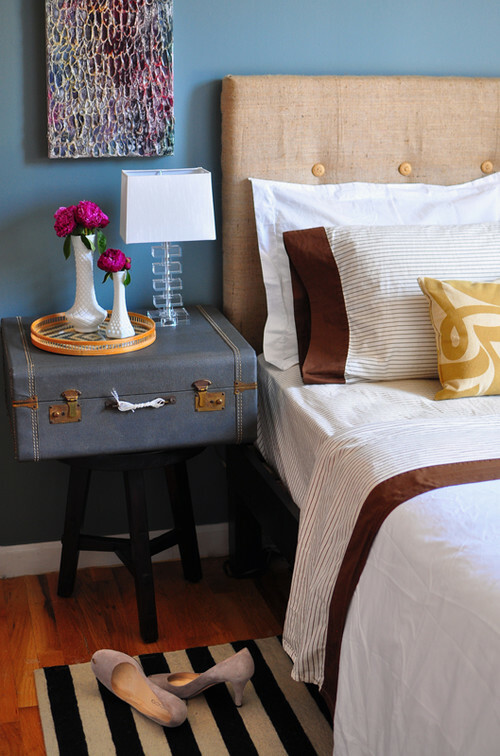 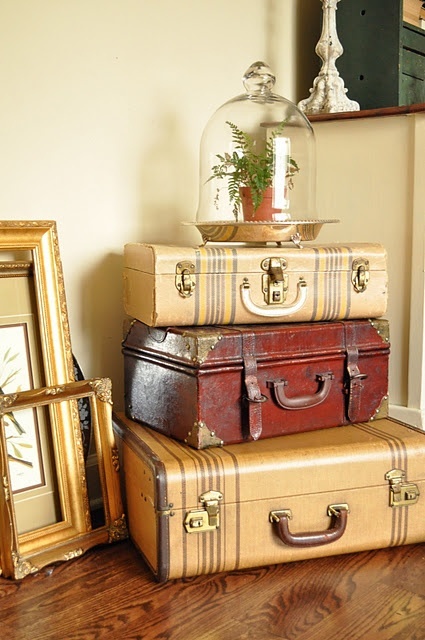 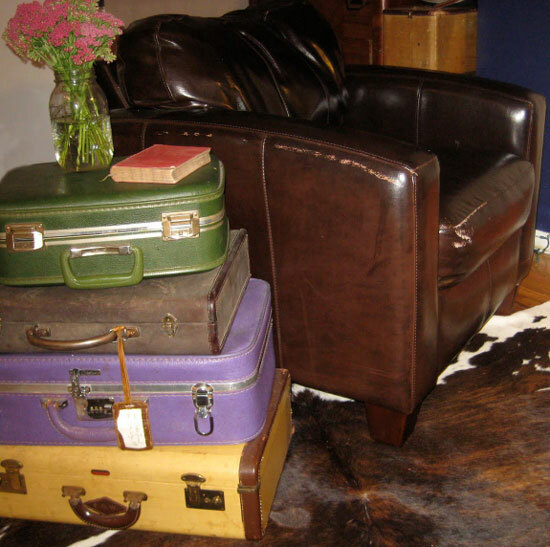 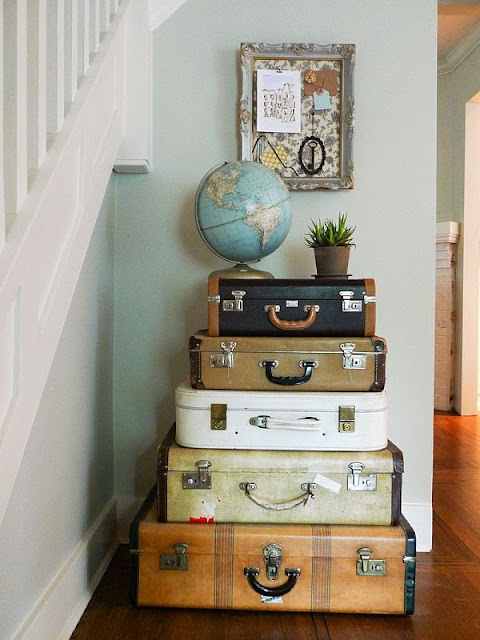 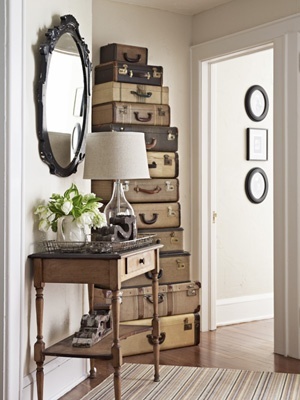 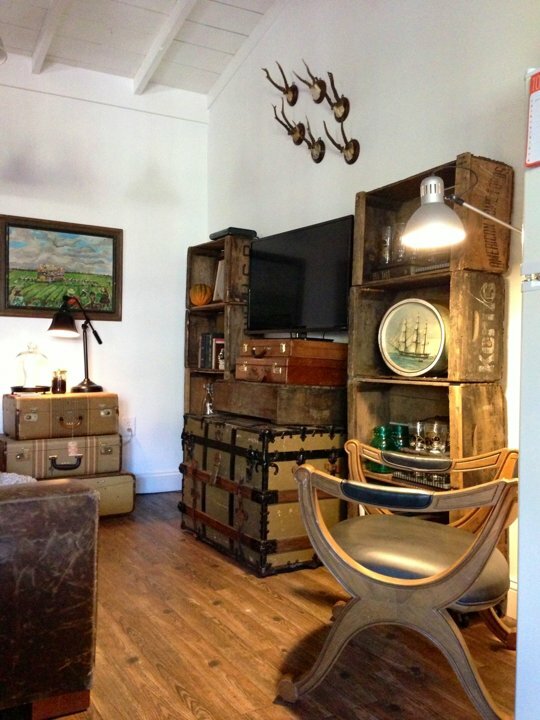 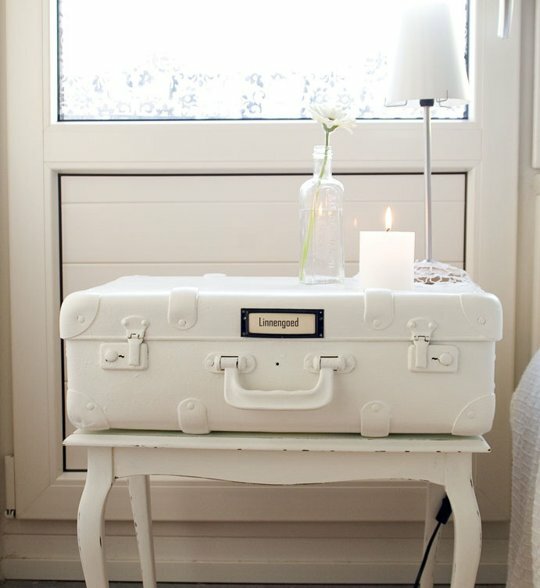 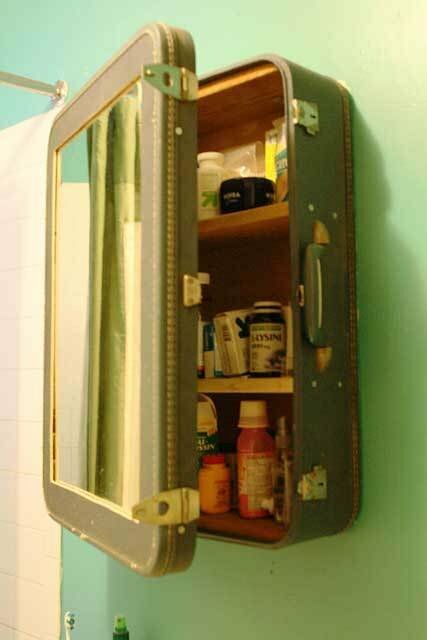 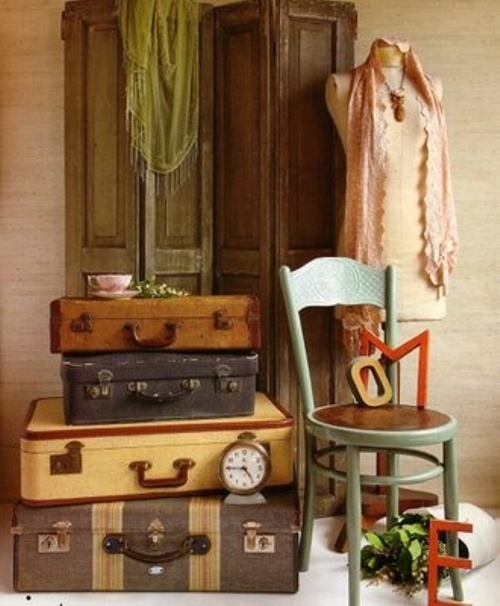 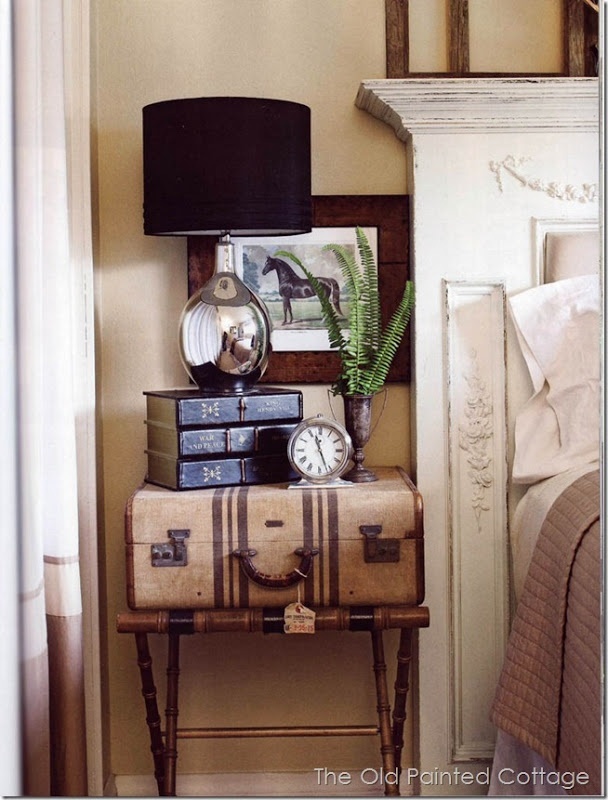 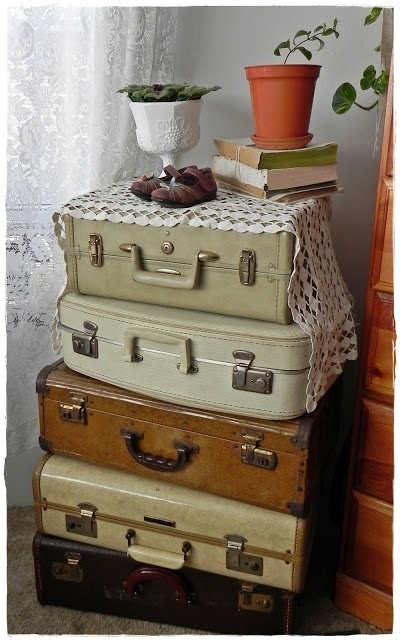 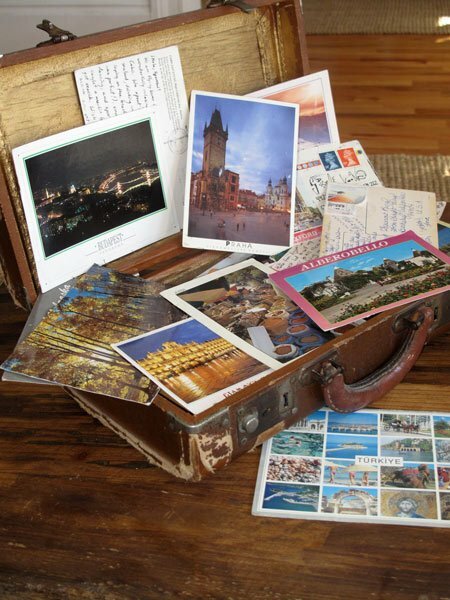 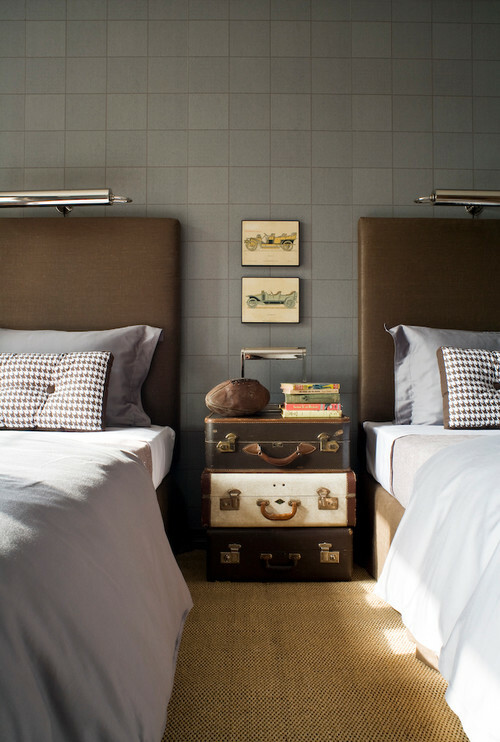 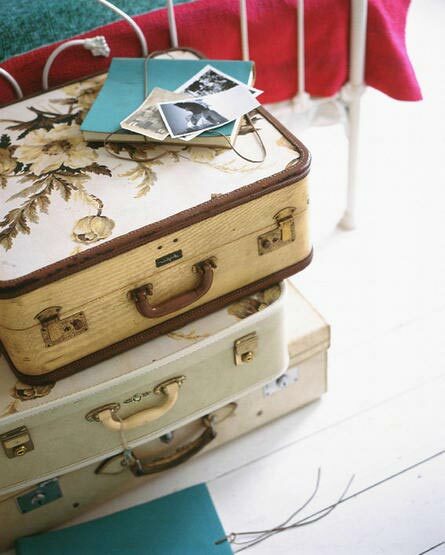 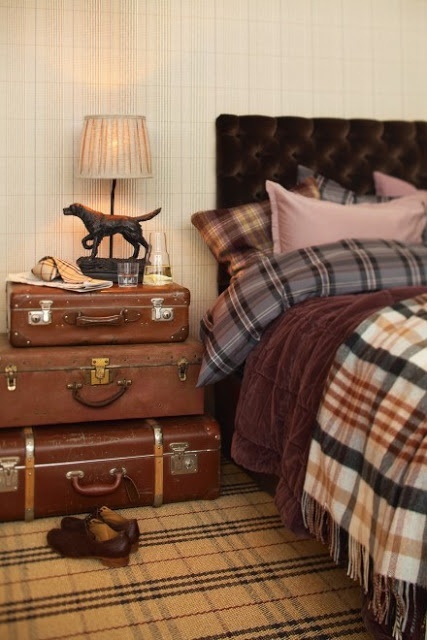 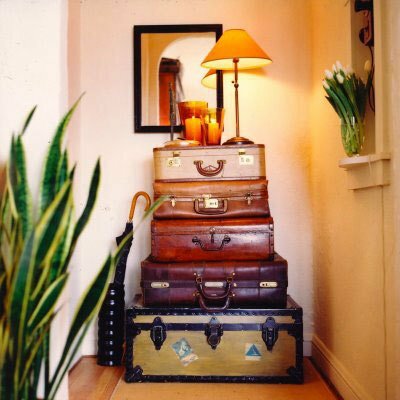 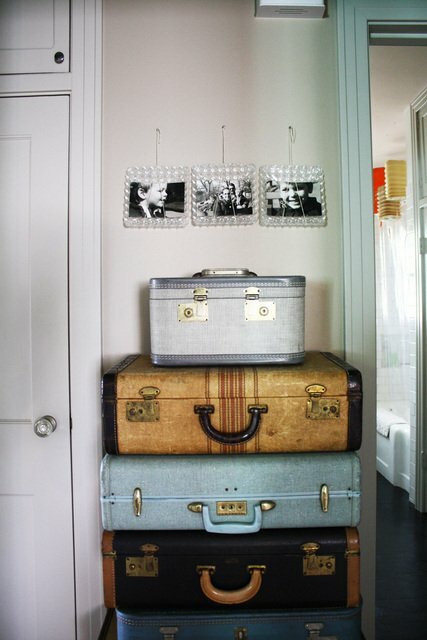 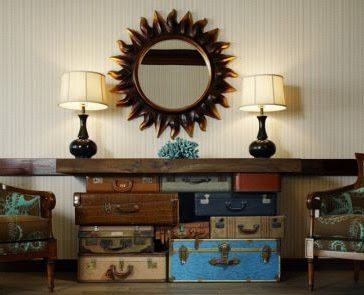 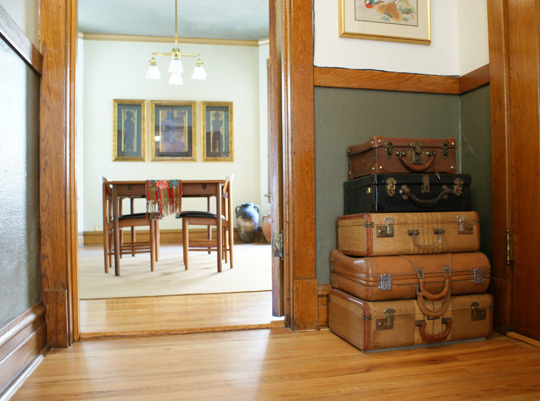 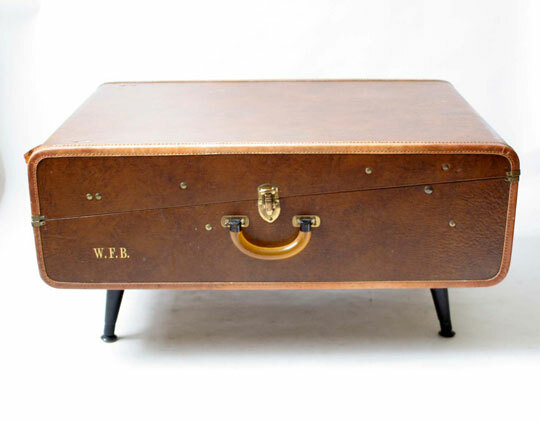 Following are a lot of great ideas using vintage luggage in your decorating. 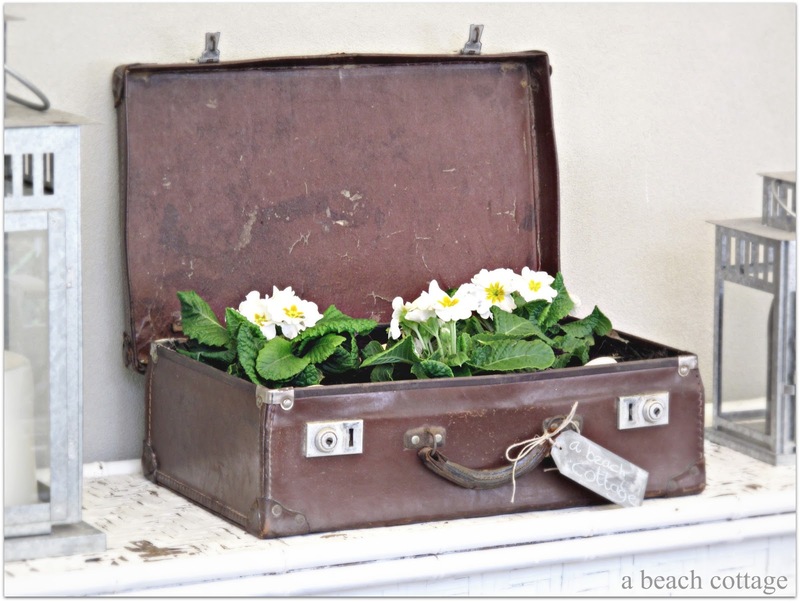 Hope you're inspired and enjoy! 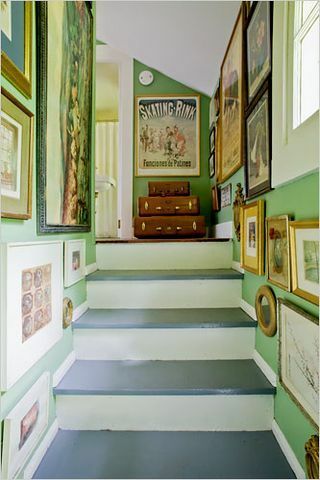 All photos are from Pinterest unless otherwise noted. 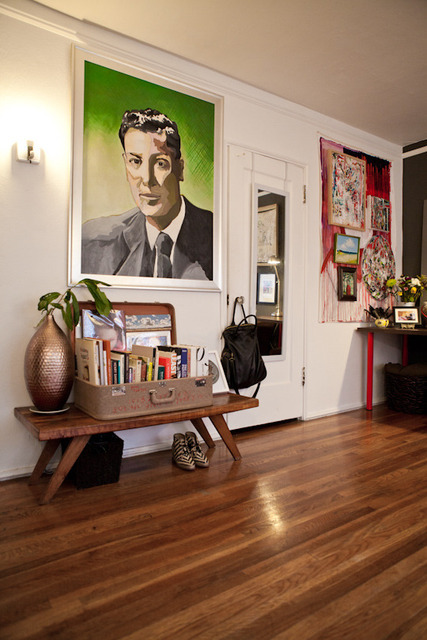 All photos below are from Apartment Therapy unless otherwise noted.